SaaS (Software as a Service) is a software distribution model. In SaaS model, a third party provides software, hosts applications, and allows them to be accessed from any device, which requires no infrastructure, but an Internet connection. SaaS is one of the cloud computing categories in which the customers can access the software of the third-party service provider over the Internet. 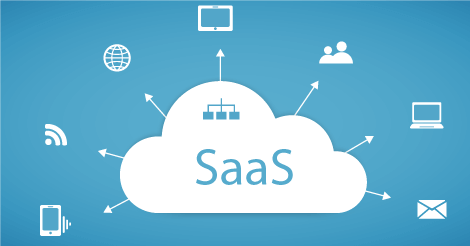 As an alternative to traditional software purchasing, SaaS has gained popularity. Many in the IT field would prefer to turn to hosted products such as “SaaS” to offload management costs. According to analysts, subscribing to software services rather than homegrown or packaged software is considered by many users as the most beneficial and affordable option. This multi-tenancy approach is booming that makes SaaS explosion, a trend. With this subscription-type software service, there is no license fee or installation cost. SaaS allows buyers with the payment option, pay-as-you-go where the buyers do not have to spend any extra penny other than their subscription fee. SaaS is highly scalable and gives its customers an option to use services or features on demand. Accessibility is another feature that makes SaaS, a trending. Applications of SaaS can be accessed using any device and from any location, which does not require much learning, that is why it tends to have higher adoption rate. SaaS is an easy-to-use model where downloading, installing, or upgrading does not require must efforts because of data center hosting. As the SaaS provider does all the upgrades, updates, and disaster recovery, it is feasible for SaaS customers to make use of it in all the best possible ways. SaaS offers customizable applications to some extent that can be made to suit you and your business objectives. With SaaS that comes with APIs, integrating data from existing business productivity systems is possible. SaaS offers seamless services and irresistible benefits from cost savings to scalability and accessibility for organizations of all sizes. Having highly influential features, SaaS has sown its root in the IT market, which has a steady growth as it is the first choice of many start-ups and small businesses in the current scenario. This entry was posted in Ecommerce Software, SaaS Ecommerce Software. Bookmark the permalink.